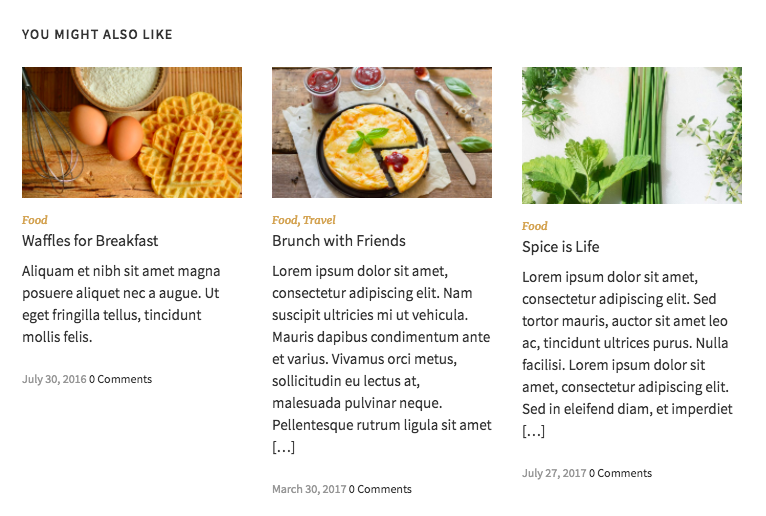 This theme comes with a built-in Related Posts feature which you can turn on here. Three Related Posts are shown under each post, if this option is selected. The top three most commented posts that share the same tags as the post being displayed are considered “related” posts.